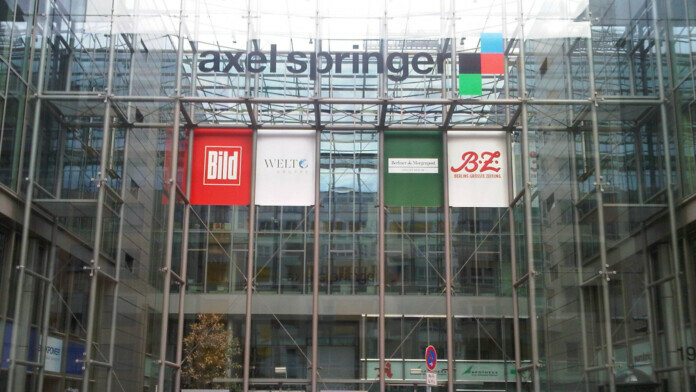 The Axel Springer publishing group has taken on Adblock Plus again, accusing them of copyright infringement this time. The company had previously failed to bash the extension makers, Eyeo, but they have a cunning plan this year. The accusations are invalid from a technical perspective, but we’ve seen similar cases succeed in the past. The Axel Springer Group has sued Eyeo GmbH, the company behind the “Adblock Plus” browser extension that is used by millions of Chrome, Firefox, Opera, Edge, Yandex, and Safari users. According to the accusation of the German digital publishing giant who owns Die Welt and Bild, Adblock Plus is changing the programming code of websites and endangers the existence of digital journalism. It is obvious that Axel Springer believes that ad-blockers are hurting their multi-million income, as ad revenue is their primary source of monetization. According to the lawsuit, the functionality of the Adblock Plus violates paragraph 69c of the Copyright Act. Eyeo defends by saying that this argument is invalid, as they are not changing the programming code of websites, and that a browser extension is not modifying anything on the Springer servers. However, courts of law had notoriously ignored this technical detail in the past, when game cheat creators and modders received similar accusations and were convicted no matter the fact that they did not modify anything on the game servers. This judiciary precedent is what fuels Axel Springer’s hopes with this case, no matter how absurd the Eyeo lawyers consider these claims to be. Last year, Axel Springer tried to deliver a blow on Eyeo and Adblock Plus, dragging them on two regional courts which rejected their claims, and ending up taking the matter to the German Supreme Court. In all three cases, the publisher tried to deem ad-blocking illegal, but all three judges decided that the allegations were invalid as no law was broken by Adblock Plus and that every internet citizen should have the right to block unwanted advertising on the websites they visit. Still, though, these losses didn’t stop Axel Springer from trying again this year, but this time they will try the sly “copyright infringement” approach. As for the users of Adblock Plus, Axel Springer is not handling them with kid gloves either. The company blocks users of the popular browser extension and prevents them from viewing any content on their websites unless they deactivate it. On Welt.de, which belongs to Axel Springer, advertisements are served to visitors anyway, deriving directly from the web server of the online paper, and bypassing the adblocker’s functionality altogether. This is proof that Springer knows how browser extensions work, and that they hope to prove their case on the court of law based on the assumption that the jury doesn’t know, or care. Have any thoughts to share on the above? Write your comments in the dedicated section below, and don’t forget to help us spread the word by sharing this piece through our socials, on Facebook and Twitter.